Aren't these cute?? 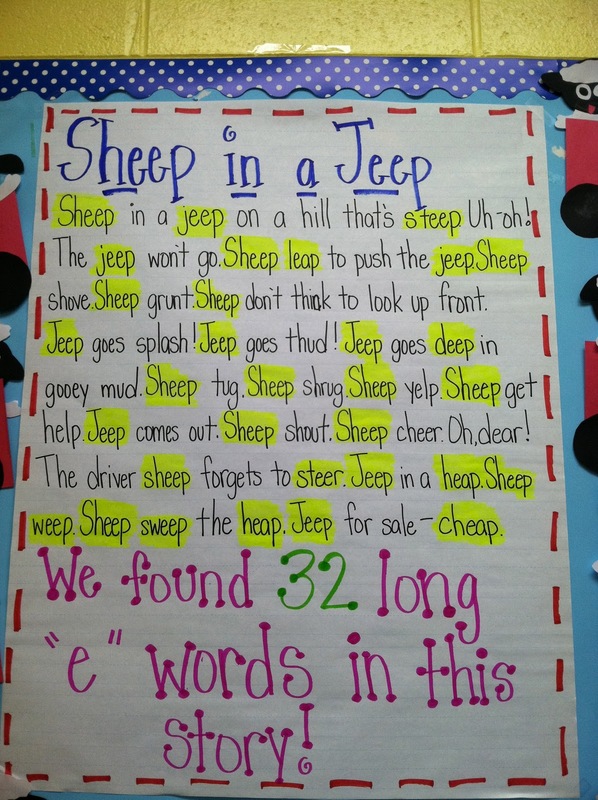 Our phonics skill this week is long e so along with our reading series story (Honey Bees), we read Sheep in a Jeep and found all the long e words- all 32 of them! This is a wonderful story to help teach long e and my kids loved it! Thank you for sharing! And yes, as badly as I want my kids to work on their motor skills, I just don't have the time to wait around for them to cut everything out! I'm so glad you commented on how in the world you have the time to do it all! I was wondering the same exact thing! 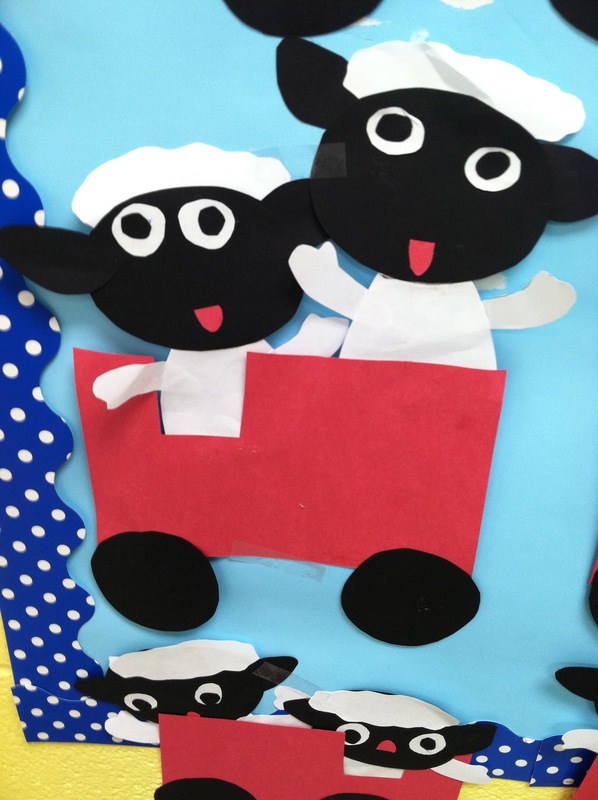 I love ALL of your crafts and activities, but feel like I would never have the time! Thanks for sharing! I love this idea! 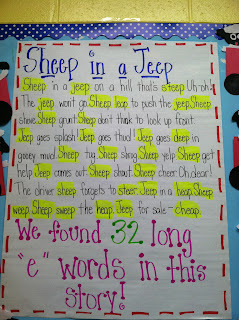 Such a cute way to practice "ee"! Way too cute!!! And bless you for cutting all of those! My kids aren't worthy enough...LOL jk!! Was curious if you ever posted a pattern for the sheep in a jeep craft. Couldnt locate it. I will be using this for sure! THANK YOU!!! Were you able to download the pattern? 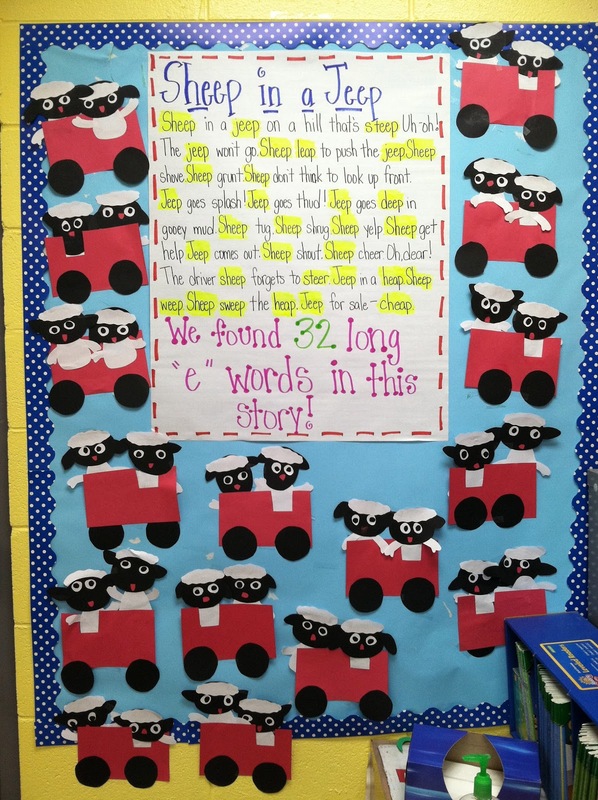 Some new anchor charts and a CHEAP center idea! Author's Purpose Graphic Organizer Freebie! Thankful Pilgrim Hats and Dinosaurs!